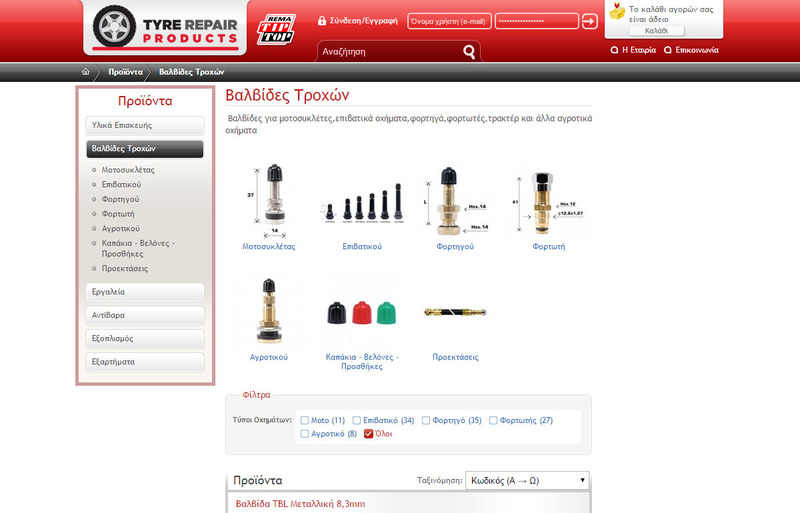 Online presence of the largest tyre repair store in Northern Greece. 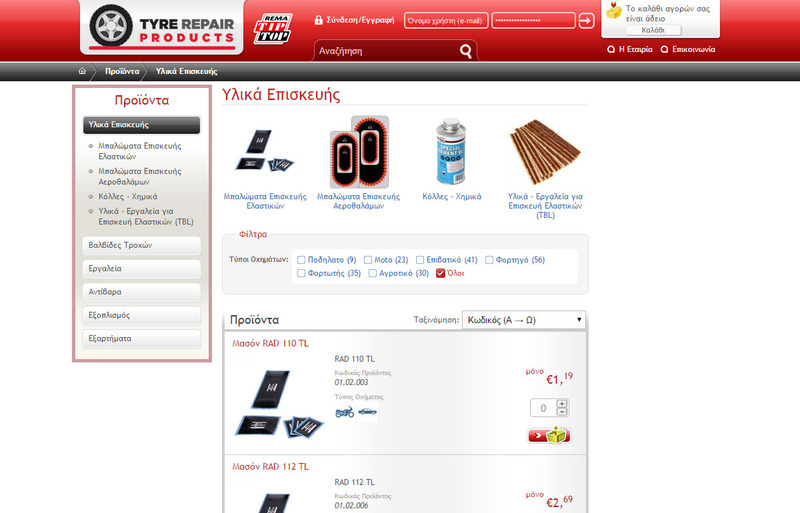 An online store - associate of professionals for their supplies and a new way to buy tyre repair materials for individuals. 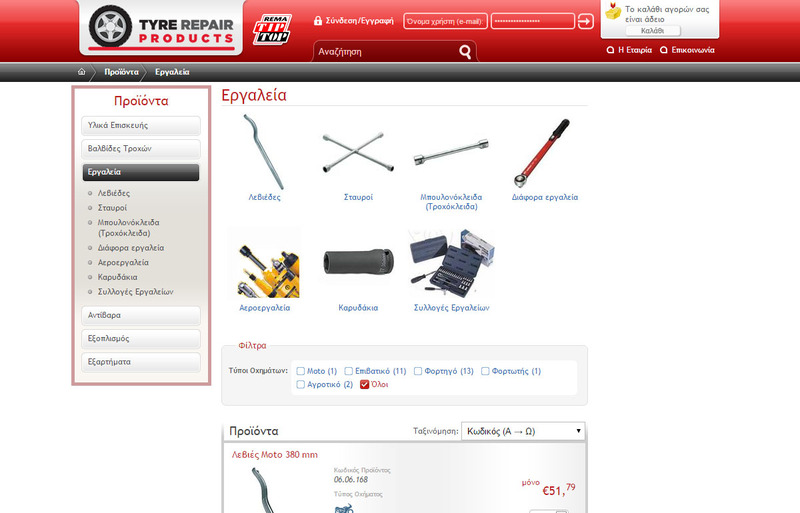 E-shop supported by a powerful, flexible and simple to use management system that allows the visitor to buy products easily.